So what's in our Cloud? With average call cost savings of 40%, monthly savings can be significant. Enjoy free internal calls for further savings. Say goodbye to your expensive phone line, and manage your entire telephone system from anywhere via a web browser. Easily grow your phone system as your business expands. Just plug in your new phones and away you go! Enhance your workforce’s productivity with advanced integrations with countless business applications. Empower your employees to work and communicate from anywhere with an internet connection. No need to upgrade, cloud-based software means simple, centralised OTA updates for life.  BDM Coms is a cloud-based communications & service provider specialising in high-speed connectivity, IP telephony & Unified Comms.